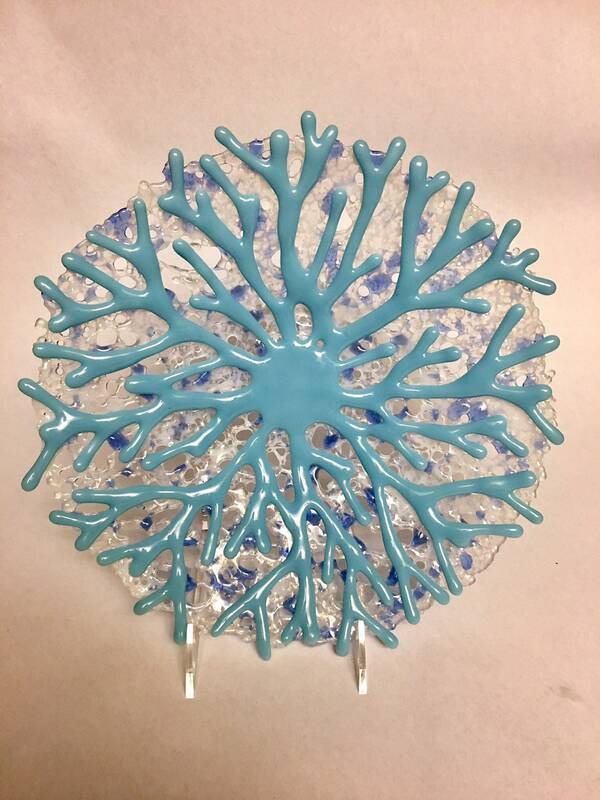 This is my interpretation of coral with a combination of glass and frit that is reminiscent of an underwater coral reef. The glass is hand cut in my studio, then all fused in house. A layer of frit is added and fused in a way to keep the texture to create the illusion of water. A third firing creates it's shape. As these items are draped, each one is unique. 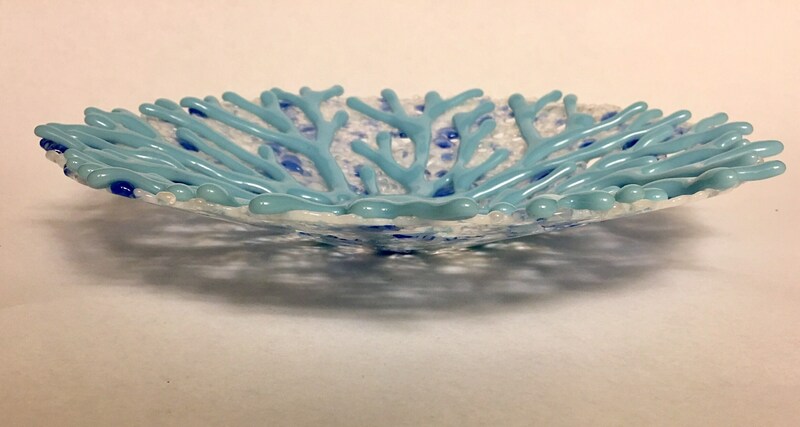 This decorative bowl will add an underwater theme to any room.